Le Wood is located at Hindhede Drive off Upper Bukit Timah Road, with Hindhede Nature Park at the door-step of the condominium. Amenities can be found at the nearby Bukit Timah Plaza, King Albert Shopping Centre which shops, supermarkets and food centres can be located. Le Wood is easily accessible using the Pan Island Expressway (PIE) and the Bukit Timah Expressway (BKE). It takes around 15 minutes to drive to the Central Business District. 1. Humid conditions due to proximity to forest. Furniture gets spoilt easily, esp wooden material such as cabinets. 2. Many monkeys and some monkeys even got into my house. I have to close the window and be alert at all time. 3. Although it is close to the mrt station but it is still a 15min walk without any shelter. 4. There were termites in function room when I was about to move out. Another problem with the humidity. 5. Pool is always cold and with many leaves. For the price I paid to rent this price, I could easily get another unit nearby that has full facilities and closer to the mrt station and food amenities. 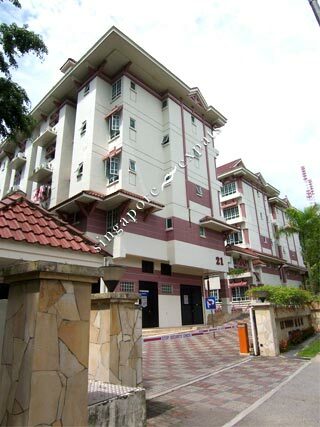 Small condo which sits at the foot of Bt Timah Hill. Lots of nature and ample parking. nice and quiet, serene and value for money.